I must say, this is one of the few GBC hacks, which are definitely worth playing! Furthermore, of all hacks that are also set on the Orange Archipelago but have never been finished, this is the only one with the greatest potential! I have played through the HOTY Beta, and have definitely enjoyed every minute I’ve played through it. This hack is absolutely on my list to play. I've been lurking in the Discord for a while now, and I can't wait to jump in when I have some time. The mapping looks great, and I'm interested in how a region mostly about island hopping works out in practice. The only thing right now that I would say could use a bit of work is the male protagonist's backsprite. His head looks flat, and could use more rounding out on the top left. Stay tuned for my signature detailed feedback when I finally get around to giving this a playthrough! I absolutely love it so far, except for this bug that I ran into. I would not recommend giving the DAY-CARE MAN your Lapras to train, as he will never return it. I gave it to him along with my Koffing to train for a short while, and when I came back, all he said was "Not yet..." walked through the house itself, and when I went up to him to ask for it back, he just asked for another Pokémon. I don't know if this is the case with all Pokémon or just Lapras, but I wouldn't recommend using him as part of the Day Care at this point in time. I tested it with my Kingler as well, where I took him right back after giving it to him, and when you go to see the Pokémon beside the Center, it still shows that he's here. 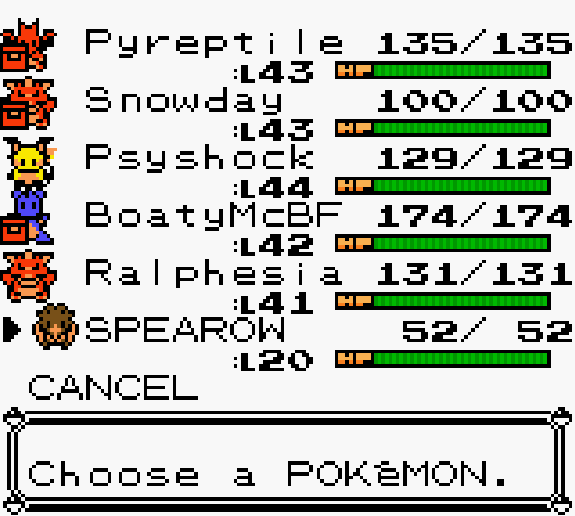 Reloading a previous save, you can see that my Lapras, "Lapri" was in fact here previously. However, there is no possible way for me to retrieve it without reloading a save from far prior, which I may do. Regardless, great hack, just thought I'd point out a major bug I found. Since I think it will help, I'll provide a short video clip, to show what exactly happens. Thank you for the detailed bug report, I'll have a look. Unfortunately it's possible the code did not fully survive the long process of gutting vanilla crystal so it might be difficult to troubleshoot. So, I started playing the HotY version, but it seems very unstable and I'm going to wait for the next release to continue. I got up to the Route after Tangelo Jungle, so not that far. Here is my feedback. I like how everyone on Valencia Island knows the player, as it gives that small island community feel where everyone knows everyone else. Their dialogue is pretty generic though, so maybe more can be done to flesh them out. I enjoyed the Wild Pokemon variety. Rockruff is an interesting addition for players because of his weird evolution method, so that'll be cool. I ran with Charmander, Pikachu, Rockruff, Lapras, and Hoppip. I would normally pick Squirtle, but he is overshadowed by early Lapras and is basically a dead pick for a starter. The only way to not invalidate the Water starter is to switch it out for something with more unique typing (like Mudkip) or one that is physical instead of special (Totodile, but only with PSS enabled which I didn't have), but then you wouldn't be keeping the Kanto set, so I'm not sure what the solution could be. Music changes were great. This is one of the few hacks I'll play with the music on. While I enjoyed the atmosphere, the maps that I saw felt very same-y. I can appreciate the overgrown feel to the Routes, but it doesn't feel like any area that I've seen has its own unique flavor that distinguishes it from the others. Granted, I did not get very far, so perhaps this changes further on. Tangelo Jungle especially was quite boring. There was just nothing special about it, it was a meh, short route. From what I've seen there is a lot of potential here. It's still early in the hack's lifespan so I'm sure there will be another pass over the areas I've been to to polish them a bit more. Some suggestions would be to let us know what move a TM teaches when we pick it up like in the later generations, and port Rangi's color variation code over from Polished Crystal so that there is more variety in the Pokemon. I feel like it would be even more fitting for the Pokemon in a tropical environment to have those sorts of color variations. Minor bug with the radio in the player's room. Listening to it changes the music on Valencia to Cinnabar Island's music until a reset or music change. Parts of the Berry Trees are transparent and will flash (like the rest of the OW tiles) during a battle transition. Now for the reason I stopped playing. I originally picked Bulbasaur (my only Pokemon at the time), but the first Youngster north of Tangelo froze my game when he came to battle me. I had instant text on and the GS Ball at that point, but hadn't turned it in yet. I had to restart the game when this happened and picked Charmander instead. Had no issue with the Youngster softlocking when I got back up to him under the same conditions. I again experienced another freeze north on the route north of Tangelo Jungle. The female Swimmer to the northeast of the island with the three fisherman on it froze my game just like the Youngster did. They would move toward me, say their text, and the screen would go black and never start the battle. I was not willing to go through the opening segment again, so I stopped there. Again, I'll pick up the hack on the next release hopefully when the freezes are dealt with. Not a problem. I just hope my bug reports make troubleshooting and finding issues a bit easier. Another thing that I found while going through the game, which should be an easier fix, is the fact that this sign doesn't have any text to go along with it. Okay, so Pia sent me the current version of Orange which is a little farther along than the HotY beta, and I played through that. Here is my feedback now that I'm finished. Some sleep moves are sometimes causing enemies to be poisoned instead. Lapras and ingame trade Clefairy's Sing and the Oddish line's Sleep Powder have been occasionally poisoning for me. Did you try to mess with the amount of turns Pokemon sleep? You may be setting a poison bit instead if so. Marissa's ingame trade Clefairy has Marissa listed as male in the OT. I'm noticing subtle dimming and brightening of the screen. It is more noticeable when in battle and looks like a flashing effect. This is probably something to do with 60 FPS and may just be my emulator (VBA-M) not handling it well. Figured I'd mention it. After the Pokedex entry screen, the Crystal Onix is a regular Onix. Similarly, if you catch a Pokemon while a Pink Pokemon is out, it sometimes shows up as pink after the Pokedex screen. I think that perhaps all of the palette loading functions should be rechecked to ensure things like this don't happen. I know that other people have reported some Pink palette glitches as well. The guy sitting down on the left in Kinnow Island's Pokemon Center hyphenates islands in a way that is grammatically incorrect. Only hyphenate words that stretch across lines in between syllables, not in random spots. Blacking out to Cross in Mt. Navel sent me all the way back to Valencia after healing at Unnamed Island. Alolan Raichu's backsprite seems to not be sized correctly, as it is garbled up. I know there are issues with Ditto, but a Trainer Ditto transformed into my Pink Vulpix. It displayed as a regular Vulpix until the next turn where it suddenly turned pink. Figured I'd mention this as another potential Transform bug. Golden Island Elder's house has Burned Tower music instead of the music on the rest of the island. Many Pokemon have unfitting party sprites. Even the Egg isn't using the correct one! The Daycare seems totally broken. When I first entered, the Daycare Man wasn't in the house at all. When I talked to the woman and exited, a glitch Pokemon apparently is in the Daycare with my OW sprite. The Man will sometimes be in the house and sometimes not, but when he's not and you talk to him outside, he says "Not yet..." and incorrectly enters the house. I've never seen the GSC daycare say that, so this is definitely not right. I decided not to use the Daycare at all because I was wary of potentially losing my Pokemon. Overall, I enjoyed my playthrough of Orange. It was a mostly pleasant experience and I had fun. That said, there are some issues that I think would vastly improve the game if dealt with. Some of the movesets on otherwise interesting Pokemon are not fun to play with, and should probably be adjusted. A big pet peeve of mine is that stone evolutions learn no moves with very few exceptions. I know that that's canon, but it shouldn't be. Specific targets for rearranging movesets include Vulpix (only attacking move is Astonish when caught, move Icy Wind up), Gloom (doesn't learn Moonblast? Have to keep as Oddish for it? ), Raichu (only learns Psychic through the relearner. Maybe give it Psybeam as an evo move and Psychic in its 40s), Clefairy (poor thing is pretty much unusable, especially without decent TMs to prop it up and having to wait to evolve it until 45 for Moonblast). I'm sure that there are more Pokemon that are unfun by virtue of a borked moveset, but these are the Pokemon that I used and noticed a problem with. Also, please consider a Surf tutor for Raichu, if only for flavor and another option for that HM. Frankly, the TMs are garbage. They might as well not be there. I kind of see that you're going for a mix of Gen 1 and Gen 2 TMs, but you picked some of the worst ones to bring over. One example is that early Water Gun TM. Why? You get Surf like 2 minutes after finding it and there are Water-type Pokemon literally everywhere, so Water-type moves are devalued across the board. I grabbed maybe four TMs that I would consider using. Sludge Bomb. Giga Drain. Return. Shadow Ball. That's it. I would seriously consider replacing the TM set and making them infinite use. Some suggestions for early TM moves are moves that are straight upgrades to crappy moves that some Pokemon get, or moves that introduce some variety or strategy for the players. Moves like Mega Drain (a not-so-great upgrade to the basic Grass-type move for all Grass-types), Leech Seed (stalling strategy), the Elemental Punches (probably later than they were available in Gen 2), Will-O-Wisp, Calm Mind, Dream Eater (considering everyone seemingly has sleep moves) etc. My Vileplume didn't replace Absorb until it was in the 40s. Moves like that are the moves eligible for middling upgrades through TMs. The HMs are very overbearing and necessitate a HM slave, but there are no suitable slaves that I noticed that learn all of the tedious HMs. We can assume the player is okay with having Surf on a main Pokemon and possibly Strength as well, but I didn't see a Pokemon that can learn Fly, Cut, Rock Smash, and Dive. I also didn't have a Pokemon that could learn Rock Climb, and I don't know who learns it in canon off the top of my head, so I just didn't use it. Cut's use in the overworld even up to Ascorbia where the content stops is very unfortunate. It's a shame, because I really like how you placed the Cut trees in the overworld, but needing to have almost all the HMs at once at all times is just too much. Here are my suggestions to possibly fix some of this. Cut and Whirlpool - Use up some flags and make it so that once a tree is cut or a whirlpool is dispersed, they stay gone forever. I like how Cut is used in the overworld, and I know a lot of your map design hinges on it. It's just that needing Cut permanently, even when backtracking, is too much. I could see the experience improving by bringing a lawnmower Pokemon with you the first time you explore an area, and then coming back with your main team later. Whirlpools being used in the overworld to block off shortcuts is a great idea, but no one is going to use them if they have to use up a moveslot with a single use TM. Making them one-and-done rewards the player with easier travel once they get the Whirlpool TM, without punishing them by actually forcing them to keep Whirlpool around. Rock Smash is trickier, as I assume wild Pokemon can be found by smashing rocks. My suggestion is to permanently destroy Rock Smash rocks that block pathways (the ones blocking the route to Cleopatra Island are prime candidates, as well as ones blocking off cave entrances), while leaving extraneous rocks alone so they can be resmashed. Strength is another issue. There are better Normal-type moves available, so using Strength on a main team member feels bad, but not as bad as with the other HMs. You could pull from future generations and make Strength permanent in the OW by having the player push the Strength boulders into holes. This is one of the HM issues that you're probably okay leaving as-is. Dive - Dive can't really be helped. I could suggest that once you have the Dive HM you can just Dive with whatever your Surfing Pokemon is without it needing the move, but that feels weird. As long as Dive leads to optional areas only I think it's fine as-is. Fly - My issue with Fly is that when I received the HM, I had no Flying-type Pokemon and couldn't find any nearby. Add Wingull in the ocean around where the player receives Fly, please. Overall suggestions - Early Bidoof/Bibarel. It learns every HM but Fly, and Bidoof evolves at level 15. It will take up another Pokemon slot, but it is so worth it to have an all-in-one HM slave, especially in a region that is so dependent on HM use. Early Mantyke in the water and allow Mantine to learn Fly. This gives an all-in-one travel Pokemon sans Cut, Strength, and Rock Smash. Deletable HMs and infinite TMs make HM use much more palatable. If I could overwrite a TM move with Cut, for example, use it, and then overwrite it again with my TM move, that makes the HMs not as frustrating. Radical option, just allow Pokemon to use HMs that they can learn in the OW without having to know the move in question. After Danny, the Trainer levels jump too high while the wild Pokemon are too low. While normally I think hackers can balance assuming the player battles every Trainer, you probably shouldn't here because of the prevalence of water Routes. Players will generally not be searching high and low for Swimmers on water routes to battle. Mandarin Desert is a great example of the level disparity. Wilds here are in their 20s, there are no Trainer battles, but there's a Rocket event with three back-to-back battles with Pokemon in the high 30s in Trovitopolis. My team of five was level 29-31 when I got here, and I had to grind in the desert because the Rockets were unbeatable. The low level wilds coupled with the BW Experience system made grinding here a chore. I actually turned on the Exp. All, which I never do, to make it more bearable. Post-Danny, wild Pokemon need to jump 6-12 levels everywhere while Trainer levels should probably be decreased by 1-2 levels. There are wild Pokemon on the Route leading to Ascorbia in the 20s, but the gauntlet Trainers are in the 40s. This shouldn't happen. Speaking of Swimmers on water routes, I think replacing some with Sightseers and Cooltrainers Surfing around would be a good idea. There are so many Water-type Pokemon being thrown at the player and it needs to be reined in a bit for balancing purposes. I would even go so far as to say that mook Trainers on land should have no Water-type Pokemon. My Raichu (and Vileplume, to a lesser extent because of my eternal Absorb) wiped the floor with the abundance of Water-types and my levels ended up very lopsided as a result. This will probably require rebalancing most of the game, as reducing the enemy Water-type Pokemon is going to shift the balance of power between the types in game. If my Raichu had a Psychic-type move, it would've been GG for most of the game, as T-bolt + Psychic would effortlessly wipe more than half of the story battles. Raichu is top-tier ingame. This would definitely change with more enemy Pokemon variety. Squirtle is still a dead starter choice because of the abundance of Water-types around. Heck, if I were replaying the current game, I wouldn't even run a Water-type if it weren't for needing Surf, as Water-type moves are so devalued by the issues stated in the previous paragraph. 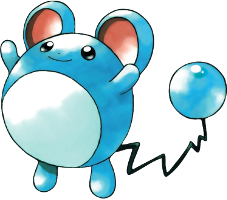 In my playthrough of the next release, I may ditch Lapras for a possible slave Bibarel addition and go Water-less on the main team. Squirtle needs to be given a gimmick to be considered an option. Lock-On Zap Cannon Blastoise would be neat (though would still probably be too late; Squirtle would need something early to set it apart). It got Zap Cannon through a Gen II event. Obviously, I'm just spitballing here. I missed the Town Map (forgot to get it when I restarted), and got lost frequently because of it. My suggestion is to have Ivy give you the Town Map when you deliver the GS Ball to make sure it isn't missable. In addition, I think that the player needs to be given more direction ingame in general. There are times where I had no idea where I was supposed to go, and even on routes where I knew my destination was nearby, I found myself lost. On the entrance to all routes, there should be a sign that gives rough directions to where the connecting destinations are. Water routes are disorienting for most of us because they are so open, so having an idea that, for example, I have to go southwest from Moro to Golden Island instead of wandering around and potentially missing it because the open ocean isn't restricting me to a path would be nice. I know that these signs were in some areas, but they should be in all of them. Additionally, give direction after story events. Lorelei or Tracey should tell me to take the Trovitopolis Ferry to the next Gym. If players didn't thoroughly explore Trovitopolis, they might not even know that there is a ferry there! Danny needs to mention a rough direction to the next location as well. Tracey says somewhere that he'll meet you on Ascorbia, but gives no insight on where that is. These are opportunities to direct the player that should be taken. The Orange Archipelago is such a windy, twisting region that is so full of open water routes that I feel that it is vital to give the player more direction. Don't hold my hand, but don't leave me in the dark. Fun fact, I totally missed Murcott and Unnamed Island 2 because I didn't know they were there. They were mentioned in dialogue around, but I took the path to Mandarin Island South first and didn't know to come back. The Murcott Cross battle may be awkward if you don't account for the fact that it is skippable, by the way. I wiped the floor with him because I was in my 40s when I found him there. Might want to make that battle not happen if the player has progressed too far past it. Some Routes were a slog. For many places, trips back to the Pokemon Center were too far to be practical. I would suggest putting Nurses or Rest Houses on some of these long routes that are away from Pokemon Centers. Candidates for this are the base of Navel Island, Golden Island itself (the Battle House before the Rockets), and the Route before the Mandarin Desert. I also think making all islands flyable to would alleviate this in the late game and ease travel. The Route to Trovitopolis is one that sticks out to me. Facing too-hard Trainers leading up to a Tracey battle nearly wiped me. I ran through the desert with a single Pokemon left in the red in the hopes that the next town was close-by. Luckily, it was. There were a couple times in game where I found myself rushing through areas and avoiding exploration because I didn't want to risk being sent back to a Pokemon Center that was a ways off. Perhaps rest houses won't be needed with level curve adjustments, but please consider them regardless. I think that connecting some close-together islands by Dive routes would be a good idea, as Dive seems to be intended as a late-game HM. Valencia to Trovita, Mandarin North to Rind (when you get there), and Cleopatra to Kumquat (also when you get there) would be cool to see and serve as travel shortcuts when backtracking. I know Ascorbia is still in development, but maybe replace that Max Repel with a Heart Scale so that the player can use the Move Relearner immediately. I don't know where in the Orange Islands this episode was, but I was waiting all game for an event involving Butch and Cassidy mind-controlling all the Pokemon of an island with a Drowzee and having to save them. I really hope that makes it in, as it was one of my favorite Orange Islands episodes and would make for a good event, similar to the Slowpoke being stolen from Azalea. Please consider replacing the Finneon line with the Frillish line. Gives another Ghost-type line and more variety for the Water-types. I couldn't find an Ice Stone for my Vulpix. It wasn't sold at the Bazaar. Maybe consider putting it there? Also, Ninetales learns Ember by relearner. The amount of references turned me off in some parts. The Otaku south of Ascorbia were way way wayyy too much and took me entirely out of the experience. Please, they need to go before other people see them in a wider release. They were egregious and completely ruined the tone. The Atecain reference in the early route made me smirk and was subtle enough that the Trainer would seem to just be a foreigner to someone who wasn't in on it. The waitresses in the cafe also took me out of it. Especially "fanservice costs extra." Just weird and broke my suspension of disbelief. The atmosphere of the hack was great, and, ignoring some of the issues I mentioned, I really enjoyed the region. My favorite area is probably Trovitopolis and I hope more can be done there in the future, possibly with the sewer area there. You were right in saying that environment variety does get better the farther that I go, and I was pleased with what I saw of the maps. The Team Rocket events were great and the two duos served very well as minor antagonists. I like how it was placed in the timeline, and that you tried to keep the canon together. I would like to see more reason to backtrack to the islands, making each one more memorable, and so that I can spend more time enjoying each one. You asked me specifically for feedback on the Mandarin North Underground and Mt. Navel. My suggestion for the Underground is a switch puzzle similar to the one in Cinnabar Mansion, where switches open and close alternating gates. If you wanted to put more Trainers down there, some Jenny that are trapped in the rooms by the switches and battle the player thinking they're involved would be an option. I don't think that this dungeon necessarily has to be huge, so this would be a good puzzle for it. For Mt. Navel, ugh! It started out so good and then just stopped! I think (with the addition of a rest house or nurse at the base) Mt. Navel could use at least two more floors before Danny. Perhaps the first new floor is an extended series of sliding ice puzzles (with a trail of ledges to get back to the entrance if the player gets stuck or wants to leave at each step) and the second new floor to be similar in feel to the first but more sprawling. I get the impression that this dungeon was meant to be a little more perilous than it ended up being, so adding these two floors seems like a good solution. Maybe look at the annoying-ness of Mt. Mortar for inspiration on the second new floor? Some of the areas in it were top-notch cave dungeon design. Adding a shortcut from Danny back to the base of the mountain will probably be necessary if these additions are made. Again, my playthrough was very enjoyable and there's a ton of potential here! I think that most of the issues are stemming from the uniqueness of the setting and not through any failing on your part. I think the majority of us would have these same issues creating an island chain region filled with water routes. It will take some experimenting and some fiddling around to get things just right without it feeling off, but from what I've seen, you definitely have the ability to do it. I'm excited to see the next release and to explore more of what you'll do with this. Thank you for your work and for releasing this for all of us to enjoy! Pyreptile, my Charizard starter. Not super useful until it learned Flamethrower. Snowday my pink Vulpix. Replaced the ingame trade Clefairy because I couldn't take it anymore. Psyshock, my Raichu. Definitely MVP and super overpowered with how the game is. Even the NPCs told me to catch a Pikachu in that jungle. BoatyMcBF, my Lapras. Stands for BoatyMcBoatFace. Pretty much a boat. Its bulk was useful. Its STAB was not. Ralphesia, my pink Vileplume. Would've been way better if it had something better than Absorb for Grass STAB. Spearow/Gloom/Wailmer. HM slaves. Rotated out as needed. You know what I see in Pokemon Orange? an official Pokemon game. 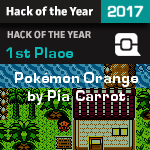 Great Work Pia Carrot! Thank you all for the wonderful comments. Thought I'd mention what I'm doing right now. Rangi and I went over some TMs and Move Tutors last night and we decided to change up a couple things. I've decided the next thing I'll be doing is revising learnsets completely, so it might take a while. The goal is to make every Pokemon fun to use and for every Pokemon to have a use, whether it has good stats or not. Things such as Bulbasaur learning Sludge or Skarmory naturally learning Fly will change the game up considerably. Another thing in the works is kanto formes alongside the alolan ones. This will help Pokémon like Sandshrew and Vulpix have more variety in team building. I've played through the current beta (in fact, the last update on the PC thread was what brought me here), and I have to say this is probably one of the best romhacks I've ever seen. I love the way you laid out the region, the difficulty curve wasn't nearly as horrendous as some romhacks I've played, and the early Pokemon distribution is pretty good. I especially like that the plot keeps to the orange islands anime story while also remaining very simple. A lot of romhacks fall into the trap of having a plot that's way too overblown and complex right from the beginning, but yours is just the right amount of simple. That said, most of my complaints are the same as the ones Deokshishu had (water starter being a dead choice, too many water-types, etc) and I'm very glad to hear you're looking into fixing them. I know this is an old issue but it might have had to do with the emulator you were using? I had this same issue using VBA-M and had to restart a couple times because of it, but when I switched to bgb I had no problems whatsoever. I don't mean to intrude of course but I figured I would contribute my two cents. That was very likely my issue. The version that I played after that post was a bit newer than the HotY version and apparently fixed the issue for the VBA-M emulator. I made sure to let Pia know what emulator I was using for my feedback regardless. I will probably play using BGB in the future, as emulation accuracy is super important when reporting bugs. I'm very excited to hear this! I'd be happy to help out if you get stumped for some Pokemon's learnsets or possible gimmicks you might add to distinguish them from other similar Pokemon. The possibility of Fire and Ice Vulpix on one team is alluring, as well as improved Bulbasaur as a grass-type option. Still skeptical about poor Squirtle's viability, though. Even with help it'll be a tough sell. I'd be interested to see what solutions you and Rangi come up with. I know this was a stretch of a suggestion to begin with, but will the Bidoof line be considered? If not, is a HM rework a possible future plan? Just curious to know your thoughts as the dev specifically on HMs in Orange. I do like the current HM system I have, and I really don't want to replace anything for Bidoof of all things, but I can consider putting the load on Rattata or some other trash when I finish revising movesets. While I agree on some of what was said, I figured I could provide a few tips that I personally did to make this easier. Catch a Krabby! It's stated that you're supposed to fish in certain areas for a reason. As soon as you get the Old Rod, go and catch one. It has the ability to learn Cut, Strength, Dive, Surf, etc. I'm not usually one for "HM Slaves" but Kingler seemed to be it later on. Never really needed another water type. Onix in Pia's Orange Islands hack, or at least my Crystal Onix, can learn Rock Climb. So go dig our your Onix, teach it Rock Climb, and go exploring. Now for a list of my usual setup in the End-Game. Arbok, a Pokémon I was sticking with regardless in this playthrough. It proved to be extremely useful personally. Victreebel, an always useful Pokémon that dealt with water-types like air. Absolutely fantastic. Growlithe, a Pokémon I had with me due to his appearance in the Anime. He proved his worth, and fought well. Another Pokémon I'd recommend, if you're looking for a bit of a challenge. Though, his Bite attack speeds up early game progress. Kingler, a Pokémon I almost never use. But the Orange Islands proved his worth to me. I've actually grown to like him quite a bit. To put it simply, he gets the job done. Crystal Onix, a Pokémon I kept with me for variety. Keep him away from the water-types, and you should do fine. Golbat, a Pokémon that can hold it's own with its somewhat diverse move-set, and it can learn Fly. Alright... now for my points of view. I'm going to be going through this bit by bit, and breaking it down. "Some of the movesets on otherwise interesting Pokemon are not fun to play with, and should probably be adjusted. A big pet peeve of mine is that stone evolutions learn no moves with very few exceptions. I know that that's canon, but it shouldn't be. Specific targets for rearranging movesets include Vulpix (only attacking move is Astonish when caught, move Icy Wind up), Gloom (doesn't learn Moonblast? Have to keep as Oddish for it? ), Raichu (only learns Psychic through the relearner. Maybe give it Psybeam as an evo move and Psychic in its 40s), Clefairy (poor thing is pretty much unusable, especially without decent TMs to prop it up and having to wait to evolve it until 45 for Moonblast). I'm sure that there are more Pokemon that are unfun by virtue of a borked moveset, but these are the Pokemon that I used and noticed a problem with. Also, please consider a Surf tutor for Raichu, if only for flavor and another option for that HM." Personally, as someone that used to play competitively, I'm not usually a big fan of switching up move-sets. It can throw you off when you go back to the original games from time to time. If you do switch up the move-sets drastically, have two versions of the game. One with the defaults, and one with your custom set-up. As for the Alolan Pokémon, I can't really speak on them. I don't use them. If I was to use one, perhaps Alolan Golem, for type diversity. As for Clefairy being unusable, I can't really say. I traded for it, and immediately put it in my PC. However Normal-types have a bit of a reputation for being somewhat useless in certain scenarios. This may be one of them. Having TMs for it would definitely be useful, though I rarely use any TMs, if at all. "Frankly, the TMs are garbage. They might as well not be there. I kind of see that you're going for a mix of Gen 1 and Gen 2 TMs, but you picked some of the worst ones to bring over. One example is that early Water Gun TM. Why? You get Surf like 2 minutes after finding it and there are Water-type Pokemon literally everywhere, so Water-type moves are devalued across the board. I grabbed maybe four TMs that I would consider using. Sludge Bomb. Giga Drain. Return. Shadow Ball. That's it. I would seriously consider replacing the TM set and making them infinite use. Some suggestions for early TM moves are moves that are straight upgrades to crappy moves that some Pokemon get, or moves that introduce some variety or strategy for the players. Moves like Mega Drain (a not-so-great upgrade to the basic Grass-type move for all Grass-types), Leech Seed (stalling strategy), the Elemental Punches (probably later than they were available in Gen 2), Will-O-Wisp, Calm Mind, Dream Eater (considering everyone seemingly has sleep moves) etc. My Vileplume didn't replace Absorb until it was in the 40s. Moves like that are the moves eligible for middling upgrades through TMs." While I agree that some of the TMs are devalued due to that constant Water presence, Water Gun being available early on makes sense in the context of the Orange Islands. You're surrounded by water, so there's no doubt going to be a lot of water around, and water-based innovations. As for adding Mega Drain, I... can actually agree with that. However, having such a move can making facing water-type opponents even more of a breeze. As much as I love the Elemental Punches, I don't know if they fit too well in the context. If the Hitmon-tree was readily available, I could see it being added late-game. Calm Mind would definitely be a move that I would use. Though, I found myself not using many buffs/de-buffs and going straight for the attack. As for making TMs infinite, I wouldn't do it. I'm not really a fan of that system for this hack. At least... not yet. TMs are a delicate balancing act. If you add in infinite powerful TMs, as you would find in late game, using them would ruin the entire flow of it all. "The HMs are very overbearing and necessitate a HM slave, but there are no suitable slaves that I noticed that learn all of the tedious HMs. We can assume the player is okay with having Surf on a main Pokemon and possibly Strength as well, but I didn't see a Pokemon that can learn Fly, Cut, Rock Smash, and Dive. I also didn't have a Pokemon that could learn Rock Climb, and I don't know who learns it in canon off the top of my head, so I just didn't use it. Cut's use in the overworld even up to Ascorbia where the content stops is very unfortunate. It's a shame, because I really like how you placed the Cut trees in the overworld, but needing to have almost all the HMs at once at all times is just too much. Here are my suggestions to possibly fix some of this. Overall suggestions - Early Bidoof/Bibarel. It learns every HM but Fly, and Bidoof evolves at level 15. It will take up another Pokemon slot, but it is so worth it to have an all-in-one HM slave, especially in a region that is so dependent on HM use. Early Mantyke in the water and allow Mantine to learn Fly. This gives an all-in-one travel Pokemon sans Cut, Strength, and Rock Smash. Deletable HMs and infinite TMs make HM use much more palatable. If I could overwrite a TM move with Cut, for example, use it, and then overwrite it again with my TM move, that makes the HMs not as frustrating. Radical option, just allow Pokemon to use HMs that they can learn in the OW without having to know the move in question." I agree, I also really enjoyed the use of Cut in certain parts of the game. Cut and Whirlpool - I personally enjoy it the way it is, though I would change Whirlpool to an HM. Rock Smash - The problem with this idea is the fact that rocks usually tell you which direction to progress after receiving the HM. However, if done correctly, your idea could work. Strength - While I agree that having Strength on a Pokémon isn't always the best idea, it still can be useful. This is another idea you have that can work. Dive - I'd just leave it as is even if it becomes required later. Though I can somewhat agree with leaving it used for optional areas and late-game content. Fly - I can agree with that. Though if need be, catch a Zubat. Overall Suggestions - Your radical option isn't a bad idea, but again, I'd have a version of the game be standard and one with the custom features. Mantyke and Mantine I wouldn't mind including, but Bidoof/Bibarel I'm not so sure about. "After Danny, the Trainer levels jump too high while the wild Pokemon are too low. While normally I think hackers can balance assuming the player battles every Trainer, you probably shouldn't here because of the prevalence of water Routes. Players will generally not be searching high and low for Swimmers on water routes to battle. Mandarin Desert is a great example of the level disparity. Wilds here are in their 20s, there are no Trainer battles, but there's a Rocket event with three back-to-back battles with Pokemon in the high 30s in Trovitopolis. My team of five was level 29-31 when I got here, and I had to grind in the desert because the Rockets were unbeatable. The low level wilds coupled with the BW Experience system made grinding here a chore. I actually turned on the Exp. All, which I never do, to make it more bearable. Post-Danny, wild Pokemon need to jump 6-12 levels everywhere while Trainer levels should probably be decreased by 1-2 levels. There are wild Pokemon on the Route leading to Ascorbia in the 20s, but the gauntlet Trainers are in the 40s. This shouldn't happen." I can actually agree with most of this, especially the Mandarin Desert. I would personally recommend adding a few more trainers on water-routes. Post-Danny, I wouldn't really recommend lowering the trainer levels, but raising some of the wild Pokémon's levels in certain areas is not a bad idea. It is also true that having wild Pokémon be 20 levels lower than the trainers is not usually a good idea, perhaps 8-10 levels would be a better choice. 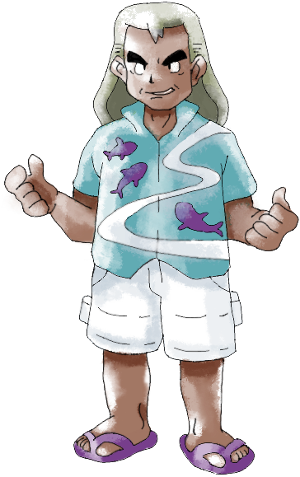 "Speaking of Swimmers on water routes, I think replacing some with Sightseers and Cooltrainers Surfing around would be a good idea. There are so many Water-type Pokemon being thrown at the player and it needs to be reined in a bit for balancing purposes. I would even go so far as to say that mook Trainers on land should have no Water-type Pokemon. My Raichu (and Vileplume, to a lesser extent because of my eternal Absorb) wiped the floor with the abundance of Water-types and my levels ended up very lopsided as a result. This will probably require rebalancing most of the game, as reducing the enemy Water-type Pokemon is going to shift the balance of power between the types in game. If my Raichu had a Psychic-type move, it would've been GG for most of the game, as T-bolt + Psychic would effortlessly wipe more than half of the story battles. Raichu is top-tier ingame. This would definitely change with more enemy Pokemon variety." I agree with this to a degree, but I do not agree with the fact that Trainers on land should have no Water-type Pokémon. It just doesn't fit the setting. Perhaps instead of replacing them, I'd recommend adding a few more Trainers, such as the Sightseers and Cooltrainers, especially on Water routes. "Squirtle is still a dead starter choice because of the abundance of Water-types around. Heck, if I were replaying the current game, I wouldn't even run a Water-type if it weren't for needing Surf, as Water-type moves are so devalued by the issues stated in the previous paragraph. In my playthrough of the next release, I may ditch Lapras for a possible slave Bibarel addition and go Water-less on the main team. Squirtle needs to be given a gimmick to be considered an option. Lock-On Zap Cannon Blastoise would be neat (though would still probably be too late; Squirtle would need something early to set it apart). It got Zap Cannon through a Gen II event. Obviously, I'm just spitballing here." Going "Water-less" isn't exactly a bad idea for a team setup. It could be interesting, though it doesn't really fit the setting. As for Squirtle being a "dead starter choice," you're not wrong, but I'll still stick with Squirtle usually. As for the Zap-Cannon idea? I'm all for it. "I missed the Town Map (forgot to get it when I restarted), and got lost frequently because of it. My suggestion is to have Ivy give you the Town Map when you deliver the GS Ball to make sure it isn't missable." In the case of the Town Map, just view the ones in people's houses. You have to remember that RPGs usually consist of exploration and taking your time. Your idea for making sure it isn't missable, isn't a bad idea. However, the way it's currently set up, I actually like. As long as you're not in a rush, you shouldn't miss it. "In addition, I think that the player needs to be given more direction ingame in general. There are times where I had no idea where I was supposed to go, and even on routes where I knew my destination was nearby, I found myself lost. On the entrance to all routes, there should be a sign that gives rough directions to where the connecting destinations are. Water routes are disorienting for most of us because they are so open, so having an idea that, for example, I have to go southwest from Moro to Golden Island instead of wandering around and potentially missing it because the open ocean isn't restricting me to a path would be nice. I know that these signs were in some areas, but they should be in all of them. Additionally, give direction after story events. Lorelei or Tracey should tell me to take the Trovitopolis Ferry to the next Gym. If players didn't thoroughly explore Trovitopolis, they might not even know that there is a ferry there! Danny needs to mention a rough direction to the next location as well. Tracey says somewhere that he'll meet you on Ascorbia, but gives no insight on where that is. These are opportunities to direct the player that should be taken. The Orange Archipelago is such a windy, twisting region that is so full of open water routes that I feel that it is vital to give the player more direction. Don't hold my hand, but don't leave me in the dark. Fun fact, I totally missed Murcott and Unnamed Island 2 because I didn't know they were there. They were mentioned in dialogue around, but I took the path to Mandarin Island South first and didn't know to come back. The Murcott Cross battle may be awkward if you don't account for the fact that it is skippable, by the way. I wiped the floor with him because I was in my 40s when I found him there. Might want to make that battle not happen if the player has progressed too far past it." I can agree with this, as long as too much directional input isn't given. The Cross battle on Murcott idea, is also not a bad one, however, I find it would be better to have a separate Rival battle take his place if you are too far in the story. Perhaps a different Cross battle, or someone else! "Some Routes were a slog. For many places, trips back to the Pokemon Center were too far to be practical. I would suggest putting Nurses or Rest Houses on some of these long routes that are away from Pokemon Centers. Candidates for this are the base of Navel Island, Golden Island itself (the Battle House before the Rockets), and the Route before the Mandarin Desert. I also think making all islands flyable to would alleviate this in the late game and ease travel. The Route to Trovitopolis is one that sticks out to me. Facing too-hard Trainers leading up to a Tracey battle nearly wiped me. I ran through the desert with a single Pokemon left in the red in the hopes that the next town was close-by. Luckily, it was. There were a couple times in game where I found myself rushing through areas and avoiding exploration because I didn't want to risk being sent back to a Pokemon Center that was a ways off. Perhaps rest houses won't be needed with level curve adjustments, but please consider them regardless." I agree with this, though I'm not sure about too many level-curve adjustments. "I think that connecting some close-together islands by Dive routes would be a good idea, as Dive seems to be intended as a late-game HM. Valencia to Trovita, Mandarin North to Rind (when you get there), and Cleopatra to Kumquat (also when you get there) would be cool to see and serve as travel shortcuts when backtracking." "I know Ascorbia is still in development, but maybe replace that Max Repel with a Heart Scale so that the player can use the Move Relearner immediately." Not a bad idea, but perhaps obtaining a Heart Scale should come a bit later, or as a prize, along with a shop coming later on. "I don't know where in the Orange Islands this episode was, but I was waiting all game for an event involving Butch and Cassidy mind-controlling all the Pokemon of an island with a Drowzee and having to save them. I really hope that makes it in, as it was one of my favorite Orange Islands episodes and would make for a good event, similar to the Slowpoke being stolen from Azalea." I also agree with that. Though, I'd love to see more references and storylines as well. "Please consider replacing the Finneon line with the Frillish line. Gives another Ghost-type line and more variety for the Water-types." Not a bad idea! Though, I'd personally like to have both available. "I couldn't find an Ice Stone for my Vulpix. It wasn't sold at the Bazaar. Maybe consider putting it there? Also, Ninetales learns Ember by relearner." Not much I can say on this as I didn't use Vulpix or Alolan Vulpix. Perhaps having Alolan Vulpix with the ability to learn Ember is a good thing. I would certainly think so. It traces it back to its roots. "The amount of references turned me off in some parts. The Otaku south of Ascorbia were way way wayyy too much and took me entirely out of the experience. Please, they need to go before other people see them in a wider release. They were egregious and completely ruined the tone. The Atecain reference in the early route made me smirk and was subtle enough that the Trainer would seem to just be a foreigner to someone who wasn't in on it. The waitresses in the cafe also took me out of it. Especially "fanservice costs extra." Just weird and broke my suspension of disbelief." I actually thought this section was quite humourous, I'd flesh it out a bit. Tell me about their history, why they're there, etc. Have fun with it! "The atmosphere of the hack was great, and, ignoring some of the issues I mentioned, I really enjoyed the region. My favorite area is probably Trovitopolis and I hope more can be done there in the future, possibly with the sewer area there. You were right in saying that environment variety does get better the farther that I go, and I was pleased with what I saw of the maps. The Team Rocket events were great and the two duos served very well as minor antagonists. I like how it was placed in the timeline, and that you tried to keep the canon together. I would like to see more reason to backtrack to the islands, making each one more memorable, and so that I can spend more time enjoying each one." I completely agree. I enjoyed it thoroughly as well, Trovitopolis was a treat, and the Team Rocket events were something I looked forward to the whole time. I agree with all of this, and I hope to see more events as well. "You asked me specifically for feedback on the Mandarin North Underground and Mt. Navel. My suggestion for the Underground is a switch puzzle similar to the one in Cinnabar Mansion, where switches open and close alternating gates. If you wanted to put more Trainers down there, some Jenny that are trapped in the rooms by the switches and battle the player thinking they're involved would be an option. I don't think that this dungeon necessarily has to be huge, so this would be a good puzzle for it." I can't really comment too much as Mandarin North Underground seems to slip my memory at the moment, but this idea sounds quite nice, if executed well. "For Mt. Navel, ugh! It started out so good and then just stopped! I think (with the addition of a rest house or nurse at the base) Mt. Navel could use at least two more floors before Danny. Perhaps the first new floor is an extended series of sliding ice puzzles (with a trail of ledges to get back to the entrance if the player gets stuck or wants to leave at each step) and the second new floor to be similar in feel to the first but more sprawling. I get the impression that this dungeon was meant to be a little more perilous than it ended up being, so adding these two floors seems like a good solution. Maybe look at the annoying-ness of Mt. Mortar for inspiration on the second new floor? Some of the areas in it were top-notch cave dungeon design. Adding a shortcut from Danny back to the base of the mountain will probably be necessary if these additions are made." I can also agree with this, but I'd have it be 7 floors, and maybe add in a little more Pokémon diversity as you go. Along with some more ice-types. "Again, my playthrough was very enjoyable and there's a ton of potential here! I think that most of the issues are stemming from the uniqueness of the setting and not through any failing on your part. I think the majority of us would have these same issues creating an island chain region filled with water routes. It will take some experimenting and some fiddling around to get things just right without it feeling off, but from what I've seen, you definitely have the ability to do it. I'm excited to see the next release and to explore more of what you'll do with this. Thank you for your work and for releasing this for all of us to enjoy!" I agree! Well done Pia! Regardless, I enjoyed reading and dissecting this review and giving my opinions. Hopefully our reviews and comments can help with development, and I sincerely look forward to more. Now I'm off to Mandarin North Underground. Sorry to ask, but ... Any news? Haven't updated here in a while. Just letting everyone know development is going smoothly. The 4th gym/hotel is mapped along with Victory Road and the overworld is nearly finished being mapped. Scripting is catching up, the main hurdle recently has been a sprite overhaul along with new features being added.